"Wheels" returns with a review of SPIDER-MAN: INTO THE SPIDER-VERSE! There has been a lot of discussions the past couple of years in the geek community about race and gender swapping established fictional characters, most notably comic book superheroes. A vocal minority believe the very concept destroys the "integrity of the character". 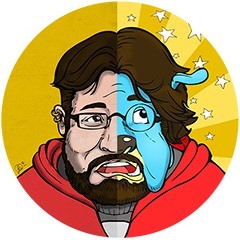 They believe that characters should "honor the intent" of the creators. These people gloss over the fact that the characters they vehemently argue about protecting typically range between being 50-80 years old at this point. They are characters that were created in a time where stories did not regularly feature minorities or women as the heroic leads. They miss the point that superhero stories are essentially pop culture myths and myths change over time or they fade into obscurity. This is especially true due to the 'popular culture' aspect. Superheroes are there for us to project ourselves onto subconsciously, so we can learn lessons of morality, courage, and hope. The stories change details over time, so those lessons can be learned and cherished by new generations who have little in common with the by-gone audiences these stories of costumed heroes were originally meant for. The makers of SPIDER-MAN: INTO THE SPIDER-VERSE have made a film that fully embraces the idea that these characters should reflect the current world while retaining their timeless heroic essence and have produced not only a crowd-pleasing animated film but one of the year's best films overall. 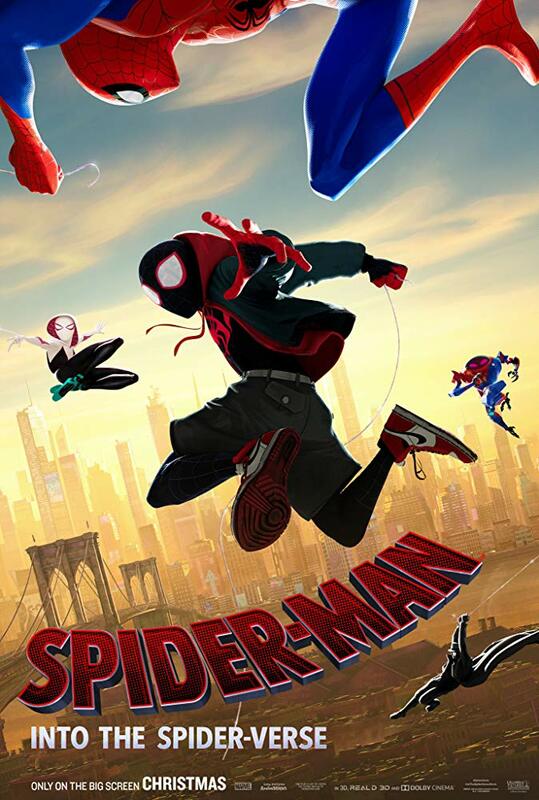 The film focuses on Miles Morales, voiced by Shameik Moore (DOPE), a bi-racial high schooler who gains superpowers from a mysterious spider bite, except his world already has a Spider-Man in it or at least it does until the famous wall-crawling hero is struck down by the villainous Kingpin, voiced by Liev Schreiber (RAY DONOVAN). Spider-man meets his grim fate mere minutes after meeting the young Morales and offering to teach him how to cope with his new-found abilities. Miles is left mentor-less but with a desire to help the fallen hero complete his final mission. Unbeknownst to him, the plot that Spider-Man was trying to thwart involves opening doors to other dimensions and in those places were other Spider-heroes, who have been plucked from their realities and dropped into Miles' New York by accident. It's here that Miles meet his unlikely teacher. An alternate reality Peter Parker. This Parker, wonderfully voiced by Jake Johnson (TV's THE NEW GIRL) is in his forties and in a bit of a slump: overweight, depressed, and separated from his beloved wife MJ. Miles and Peter fumble their way through hero lessons while simultaneously trying to stop Kingpin's reality destroying plans when they are joined by the other lost Spider-heroes: Spider-Gwen, voiced by Hailee Steinfeld (TRUE GRIT), the hard-boiled Spider-Man Noir, voiced by Nicolas Cage (MANDY), the anime-inspired Penni Parker, complete with spider mecha, and the Looney Tunes-esque Peter Porker aka Spider-Ham, voiced by comedian John Mulaney. Together they work towards not only saving their respective dimensions but also finding a way back to them. SPIDER-MAN: INTO THE SPIDER-VERSE has a unique visual style that is striking from the first frame. Characters are animated with a slightly lower frame rate than typical CGI films, giving them a look that I can only equate with stop motion animation. They are rendered against backgrounds that at times resemble the pop artwork of Roy Liechtenstein and at others looks like a 3-D film viewed without the aid of special glasses. It seems at first like these visual choices would render the film unwatchable but coupled with comic book style captions and sounds effects throughout the runtime and shot placements that could never be captured in pure live-action, the film feels very much like watching a comic book brought to kinetic life. It's a visual feast, with gripping action. All of the impressive visuals would matter very little if you didn't care about the characters or the situations they find themselves in. Amazingly, the film juggles its large cast of characters well. The film spends ample time with Miles and Peter as they learn from each and banter. Johnson's take on Peter feels note perfect. He captures the quippy nature of the character but also the fact that the humor that Spidey spits out rapidly is a coping mechanism. He's immensely likable and you root for him to bounce back from his slump and become the hero and mentor that the earnest and hopeful Miles needs to begin his own journey as his world’s new Spider-Man. Speaking of Miles, he is already an immensely popular character with comic book readers and his status will only sky-rocket from the release of this film and so much of that is due to the performance of Moore. He feels very authentic and in a film with so many big performers (some of which are a surprise that I won’t spoil), he holds his own and truly feels like the star of the film. The rest of the heroes take a bit of back-seat to Miles and Peter but they each get moments to shine, whether it's Gwen's cool confidence at the chaos around her, the Spillane-esque dialogue that Nicolas Cage relishes as the fedora and trench coat wearing 1930's-style Spidey, the perpetually snacking Penni, or the sheer zaniness of Spider-Ham; they all make lasting impressions. I could have easily watched another hour of just these characters and their interactions. The strong character work and story that never falls apart when it easily could is a testament to the strong work of the directing team, Bob Persichetti (THE LITTLE PRINCE), Peter Ramsey (RISE OF THE GUARDIANS) and Rodney Rothman (22 JUMP STREET) and producers Phil Lord and Chris Miller. (Lord also helped pen the script). The film is such a stunning achievement of balancing tone, character, and plot - that they almost make it look easy... until you stop and really look at everything the film contains. Its mind boggling that they have taken such an over-stuffed concept with quirky visuals and turned in the best four-quadrant crowd-pleaser of the year. It's appropriate though that this film will win over crowds from all demographics because at its core it is about how anyone can be a hero, regardless of age, race, gender, or circumstance... and I think that is a beautiful lesson for the culture we find ourselves in now. It’s a wonderful bonus that the lesson is wrapped up in a truly great superhero film. SPIDER-MAN: INTO THE SPIDER-VERSE is playing in theaters nationwide starting tomorrow December 14th. Video CULTure – coming soon!